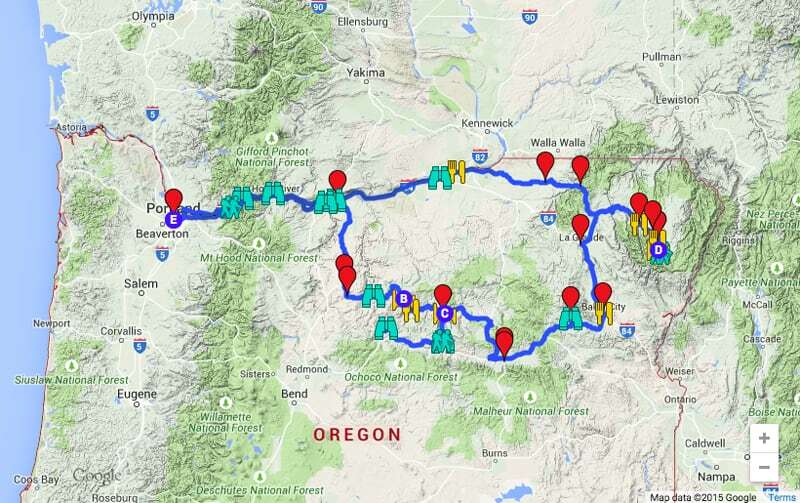 Click on the image above to browse the map and learn more about each stop. 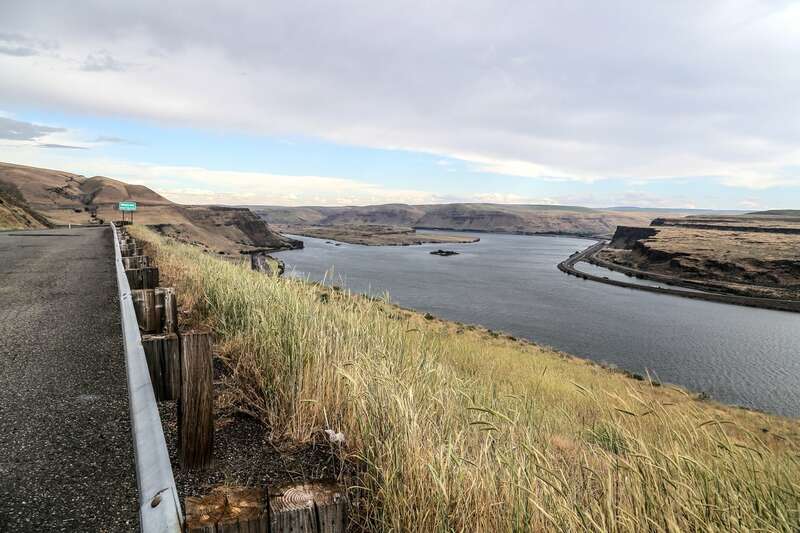 This route took us over rolling hills of expansive farmland and grand vistas, eventually dumping us off at the Columbia Gorge. 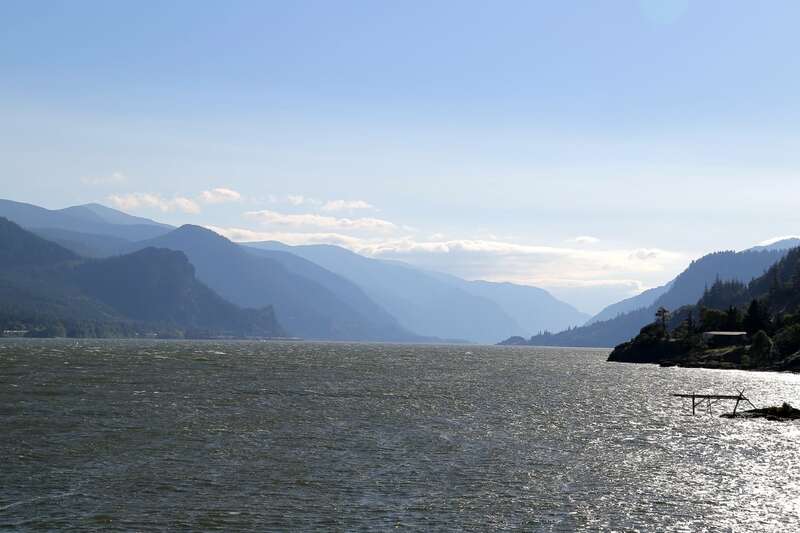 If you’re looking for something to break up the monotony between Wallowa Lake and the Gorge, the 204/334/37/730 route is a great alternative. 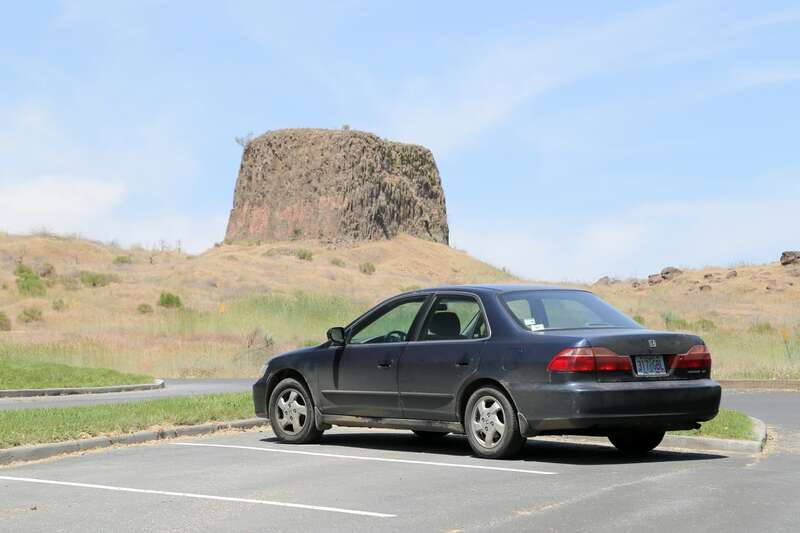 Where highway 37 runs into the Columbia River Gorge is a unique sight worth visiting — Hat Rock State Park. 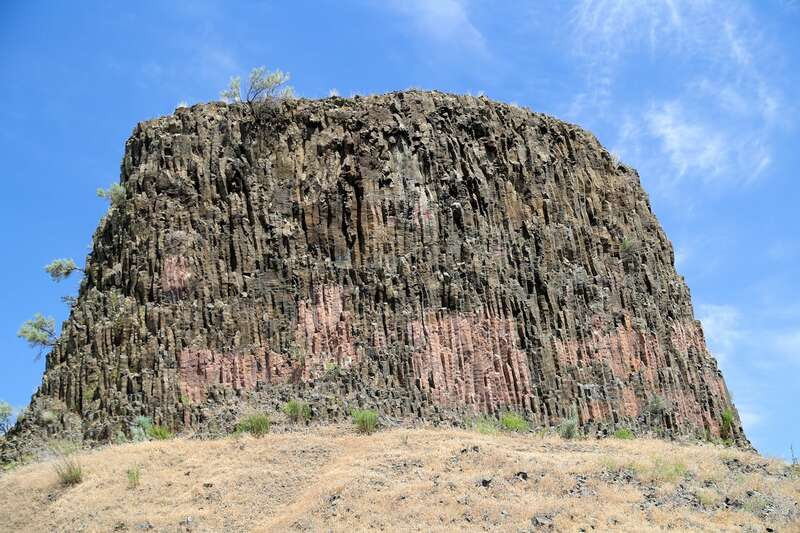 The ‘hat rock’ in question is pictured in the photos above and below. 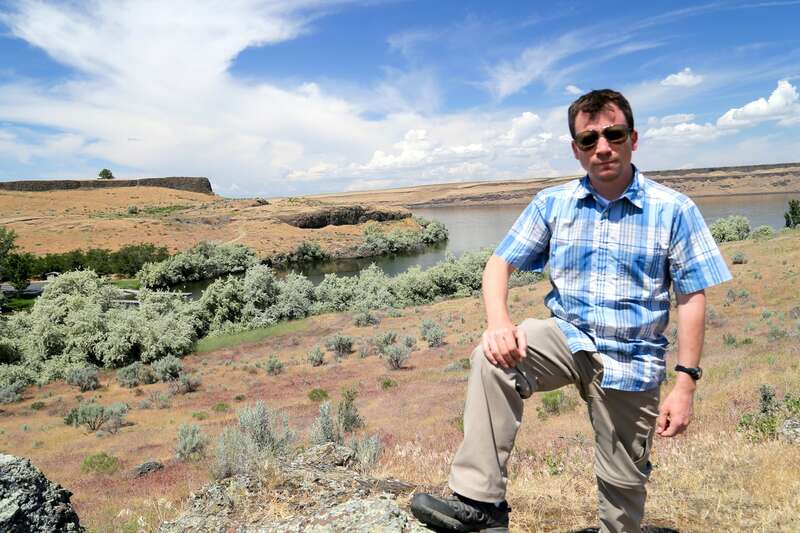 Its an unusual and picturesque geological marvel on the banks of a dry and windswept stretch of the Columbia. There’s also a very large and lush picnic area adjacent to the Rock and a fun-looking boat lunch and swimming area across a nearby inlet. 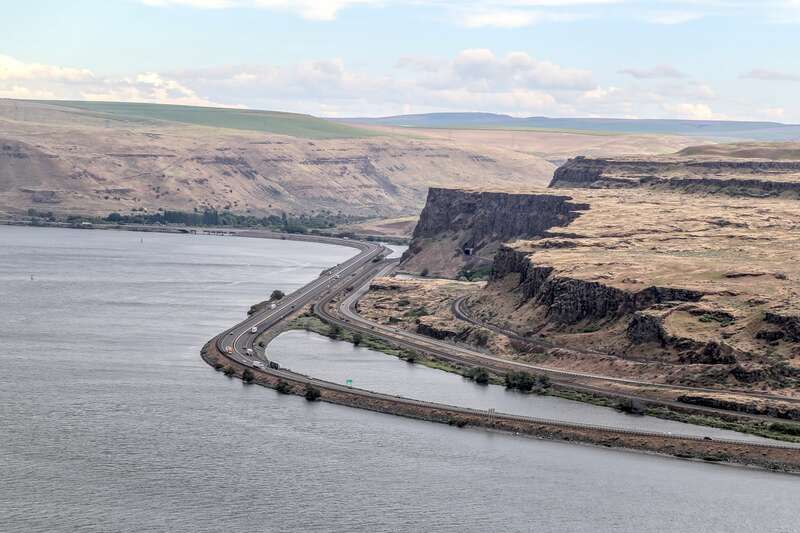 The banks of the Columbia River are virtually unrecognizable from the region much farther downriver near Portland, it’s hard to believe in many ways that it’s the same river. 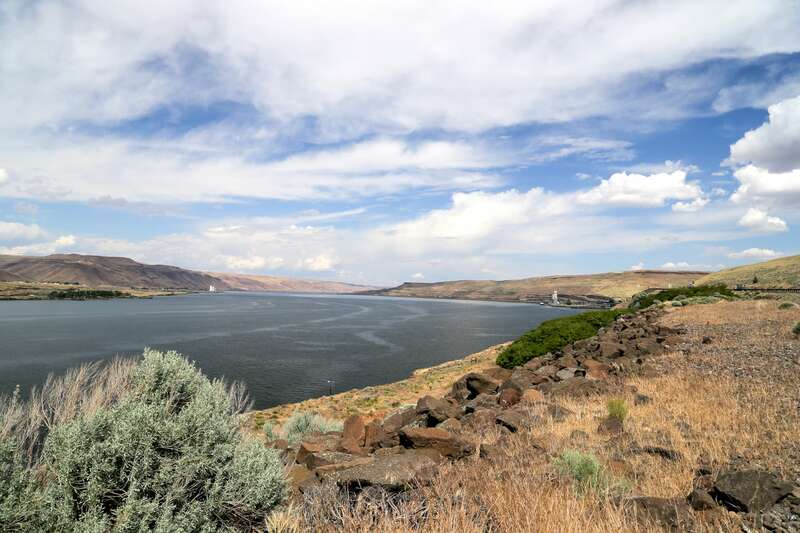 The difference mostly has to do with the Cascade mountain range, which runs the length of Oregon and Washington, dividing the eastern and western parts of the two states. 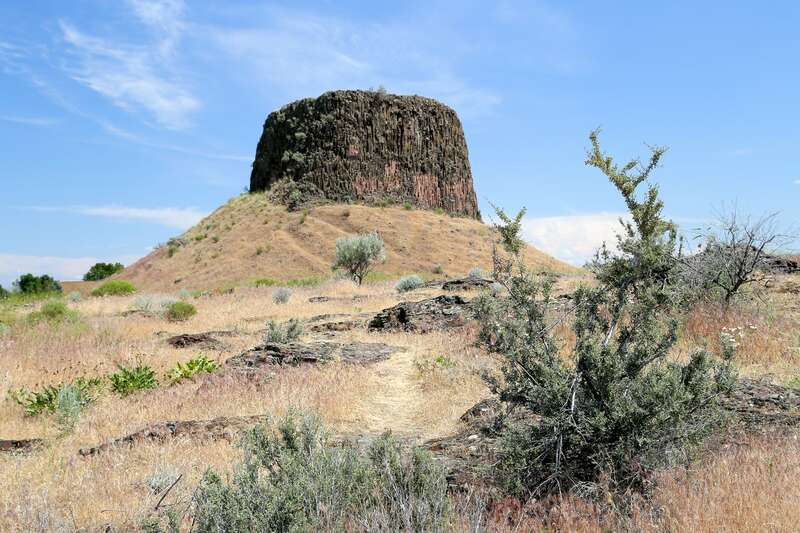 The land west of the range is characterized by significant rainfall year-round, while the eastern side receives very little rainfall. 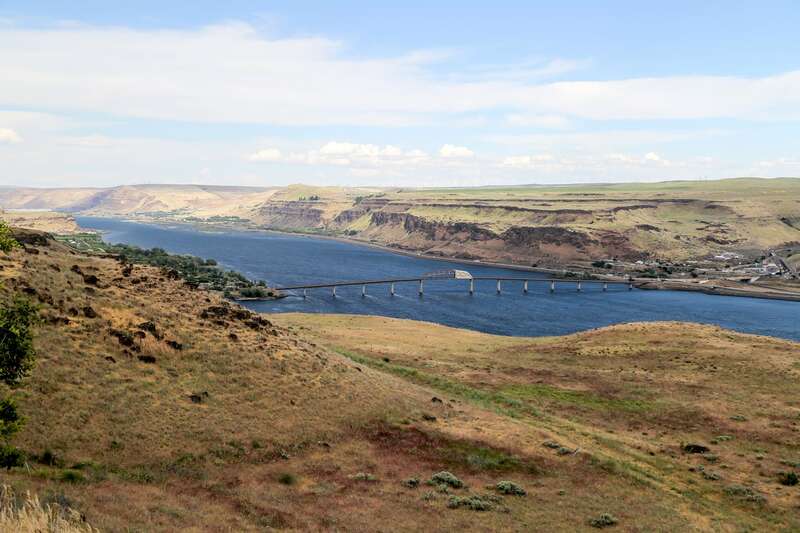 Bridge of the Gods connects the Oregon and Washington legs of the Pacific Crest Trail, and thus the Cascade mountain range on both sides, and is essentially the Columbia River’s dividing point between wet/dry. 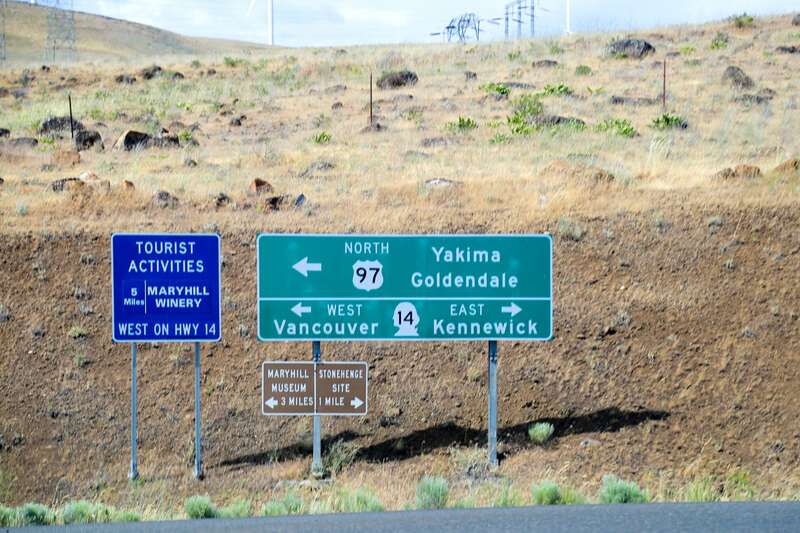 At this point, we were about 150 miles east of Bridge of the Gods. 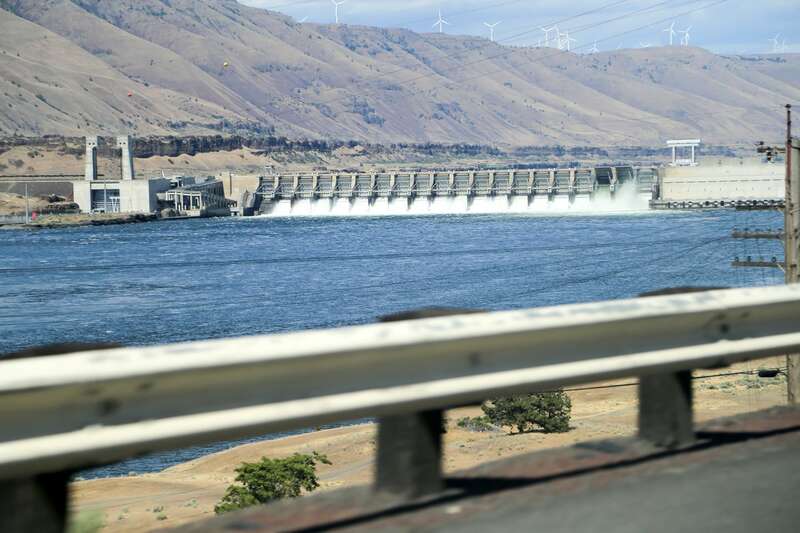 The Dalles Dam (pictured above) was not the first or the last dam built along the Columbia River; it is not the largest or the smallest. 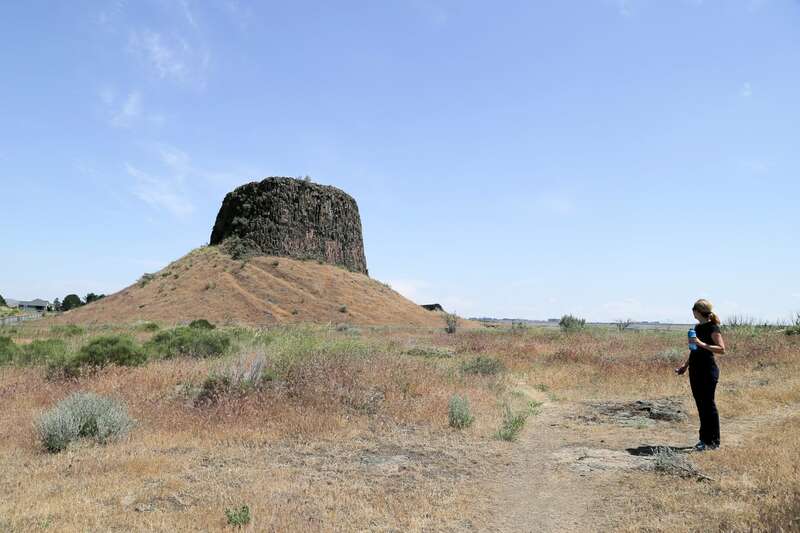 However, it holds immense historical significance in the age-old battle between tradition and progress, native and settler, rights of the people and rights of corporations and governments. 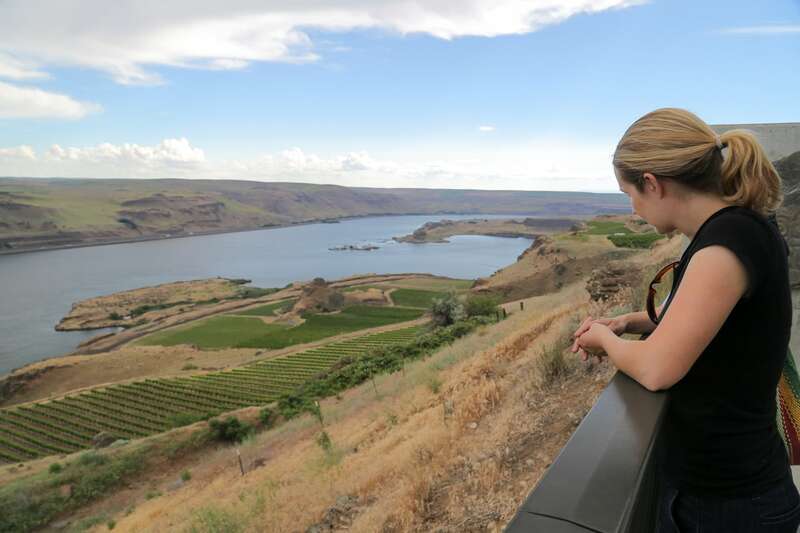 For more than 15,000 years, people had settled in and around Celilo Falls — a massive cut in the earth where the waters of the mighty Columbia plunged over a vast area. 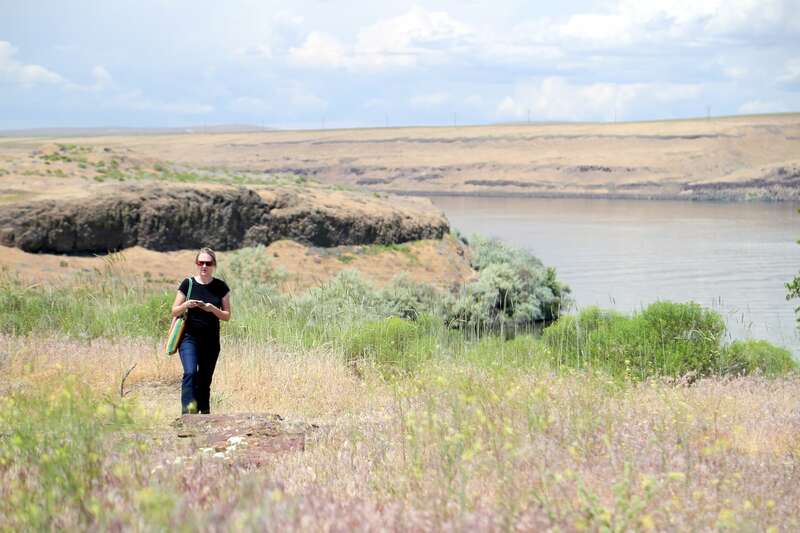 Native peoples flocked to the region for its endless bounty of salmon and steelhead, and its spiritual significance. 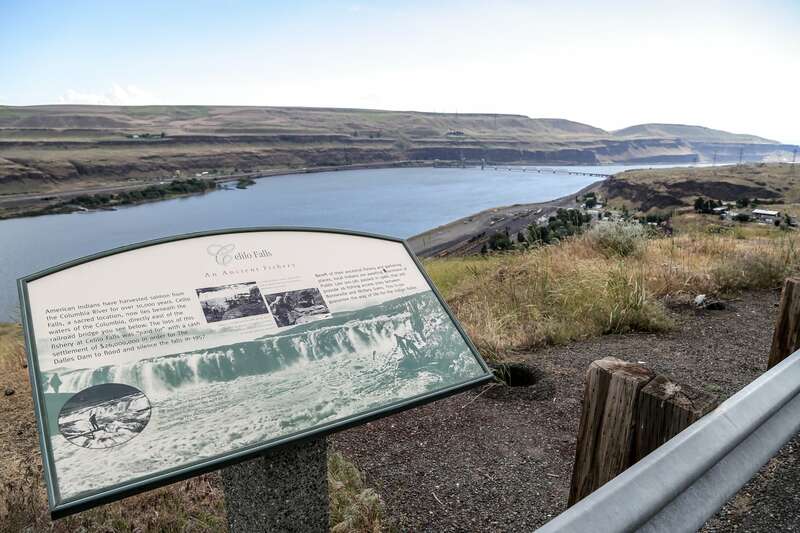 The nearby village of Celilo grew up along the falls and became an economic powerhouse, trading crossroads, and cultural and spiritual center for the native peoples of the Columbia River and surrounding region. 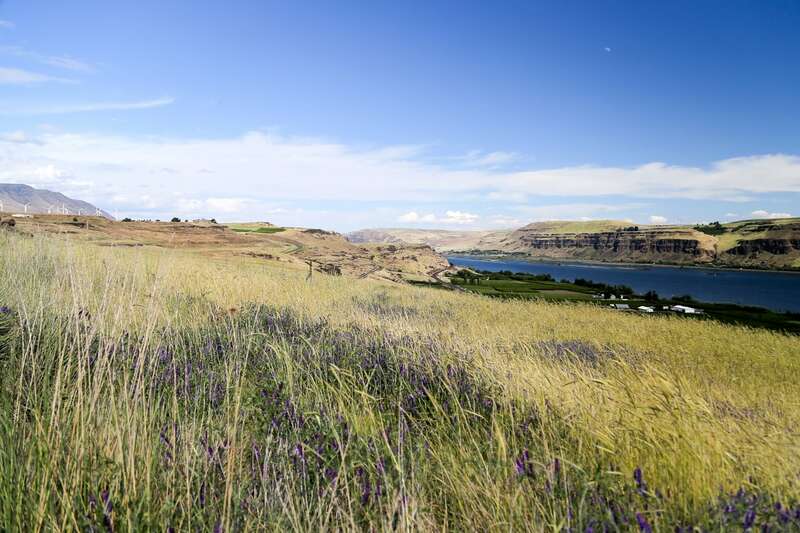 Celilo represented a highpoint in a civilization that thrived hear for millennia. 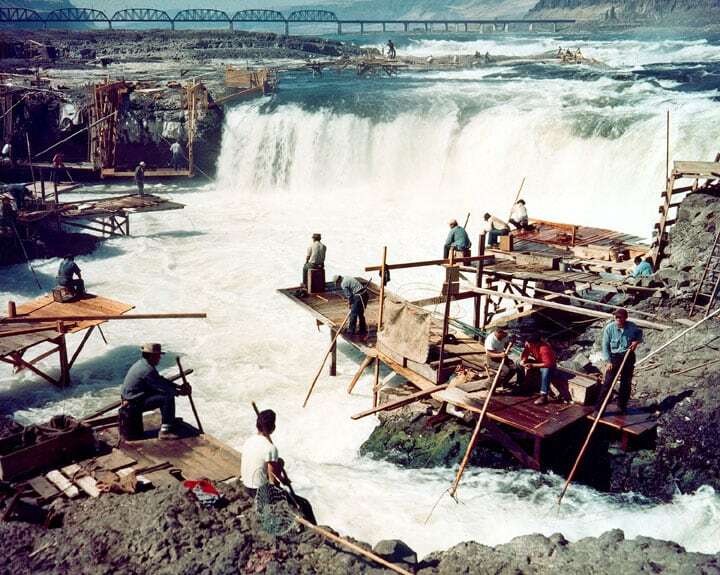 15,000 years of culture and tradition were erased in a single day, March 10, 1957, when the flood gates of the newly completed Dalles Dam closed and hundreds of observers watched the rising waters silence the mighty falls, wash away the fishing platforms, and swallow the village of Celilo — the oldest continuously inhabited community on the North American continent. Photo: United States Army Corps of Engineers (wikicommons). 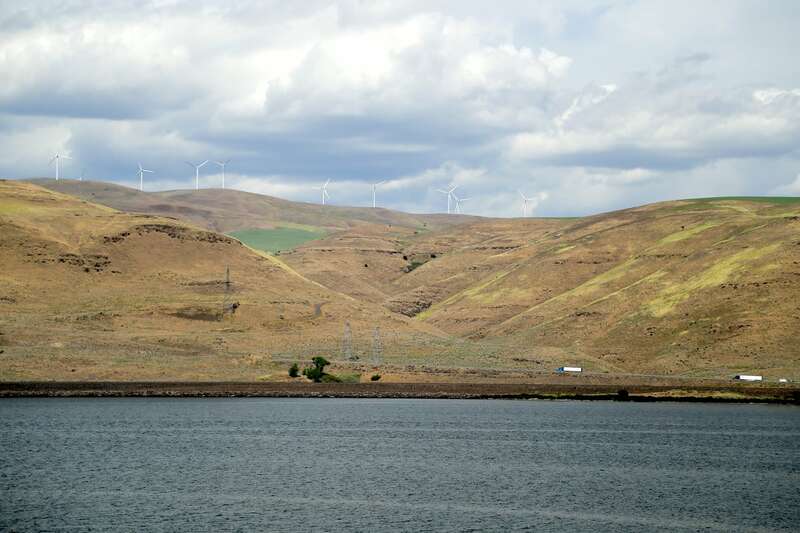 The affected tribes were compensated by the U.S. government to the tune of $26.8 million for the loss of Celilo and other fishing sites along the Columbia. Sound like a fair deal? Depends on who you ask, I guess. 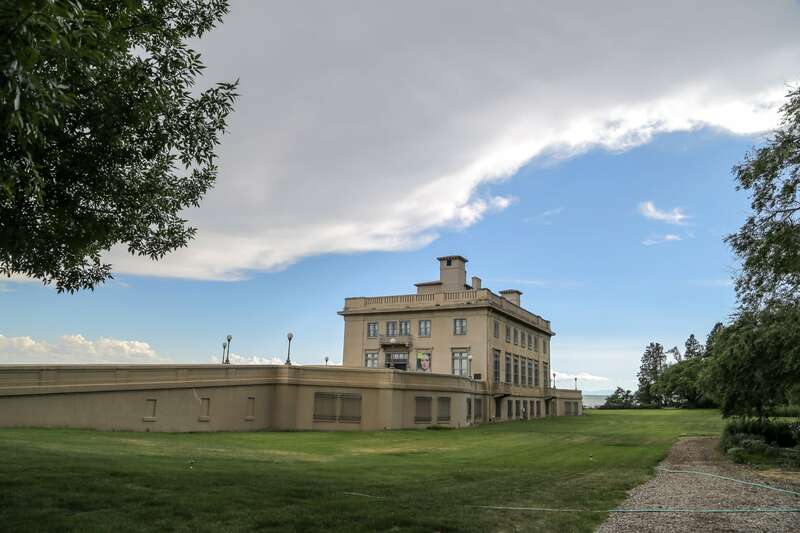 On a happier, or at least weirder, note, our journey also took us to Maryhill Museum of Art, which actually began life as an unusual home for one of America’s most eccentric business tycoons, Sam Hill. 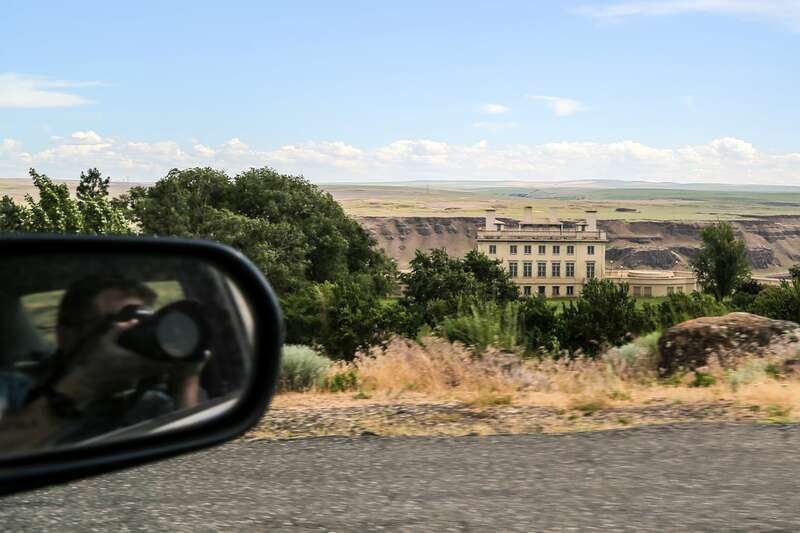 Approaching the giant cement structure perched on the Columbia gorge evokes palaces of Western Europe or the Eastern U.S., but definitely not a country ranch home as it was originally intended. Just as spectacular as the museum building, itself, is the expansive view from the museum cafe. 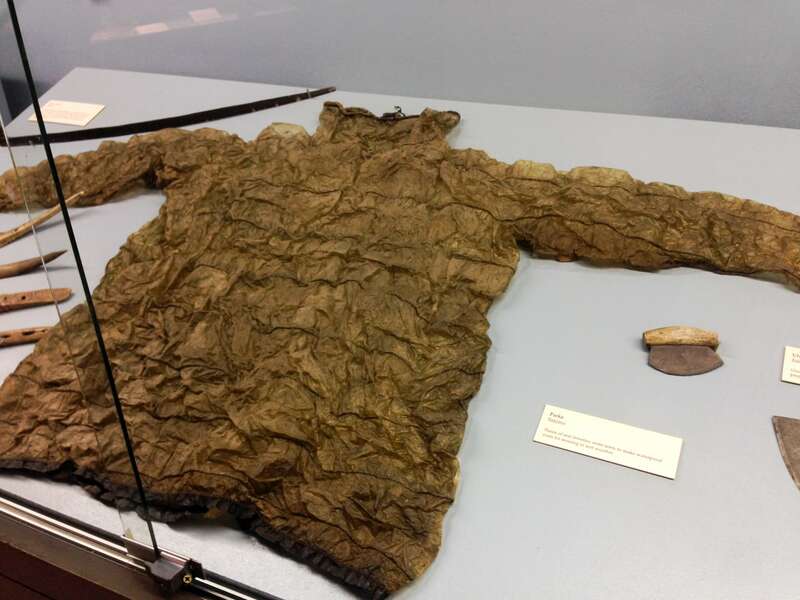 While the art exhibits didn’t leave Lori and me pining for more, the native american parka made of seal intestine was kind of cool. 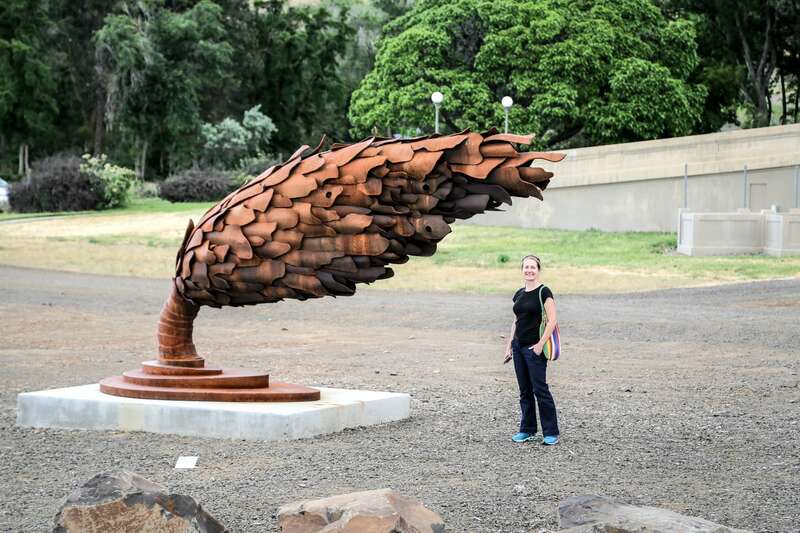 Regardless, if you happen to find yourself in the area (which you probably won’t, but just in case…) it’s a unique stop in a pretty random area of the world worth visiting. 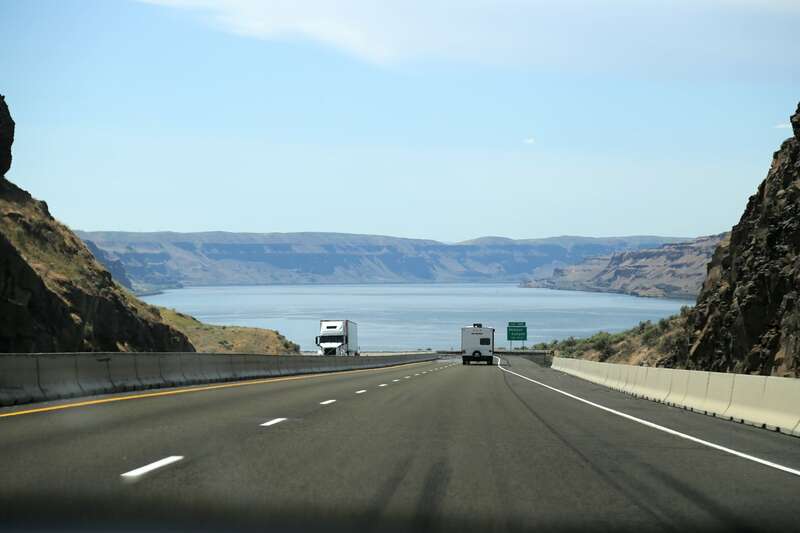 After leaving Maryhill, we continued our journey west along highway 14, into the spectacular heart of the Columbia River Gorge, where the river literally tears through the Cascade mountain range on its never-ending journey to the Pacific.